In an effort to incorporate even more cheese into my diet, I had a couple of quesadillas for lunch. I like that quesadillas are pretty easy to make but allow you to incorporate some interesting flavors. 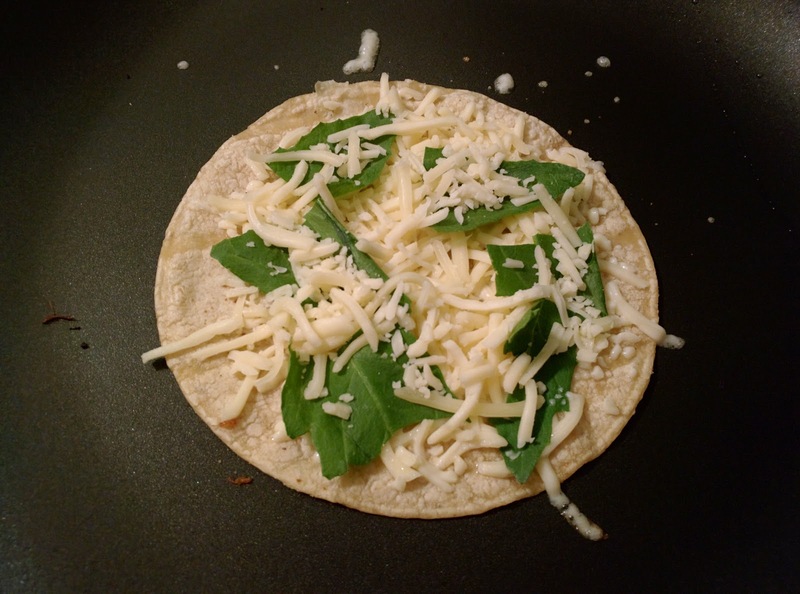 I remember as a kid it was easy to make a quick snack with a couple of tortillas, cheese, and whatever random meat there was leftover in the fridge. Today I made a couple of quesadillas with different fillings. The first is epazote, an herb with a somewhat lemony pungent herb quality that goes well with cheese. 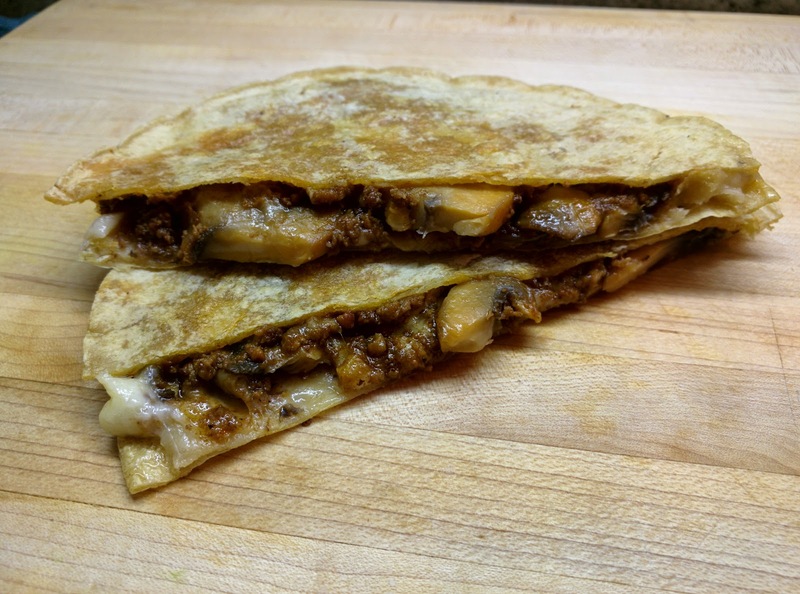 The second quesadilla I decided to fill with chorizo and mushrooms. 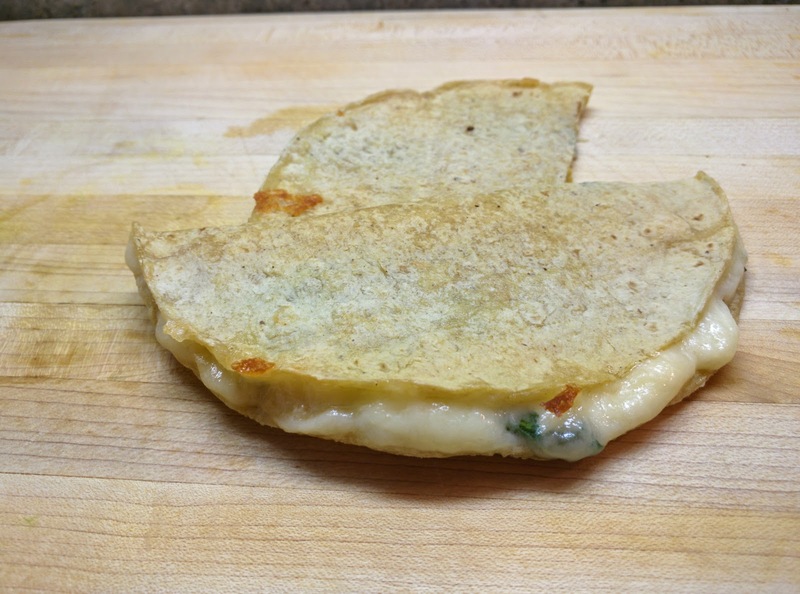 The epazote quesadilla was very straightforward: cheese and herb in between two tortillas on a hot skillet. I flipped a couple of times until the cheese melted and they were ready to eat. Tasting this made me think that I need to try more types of herbs as a fillings, maybe tarragon or thyme. The next quesadilla had a couple extra steps. I began by frying chorizo with garlic and onion in a pan. After cooking for a few minutes, I added sliced mushrooms. They cooked in the fat that rendered from the chorizo for about five minutes, until they lost some moisture and got meatier. These quesadillas were definitely much more dense than the previous ones. 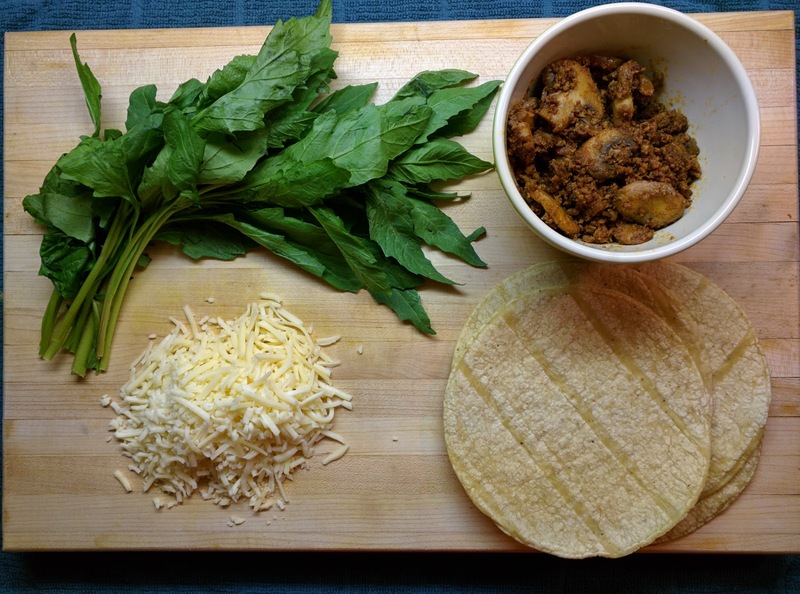 The chorizo and mushroom are a great combination with the cheese. 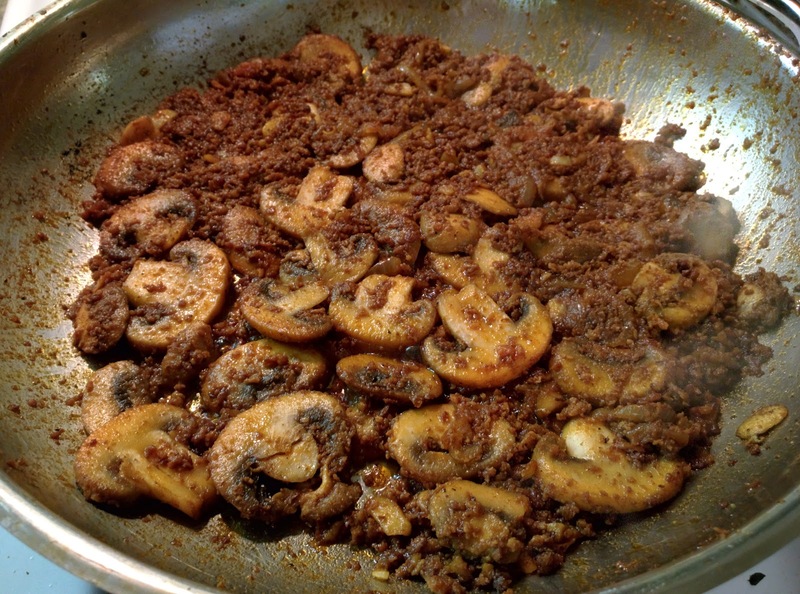 I would probably like to incorporate even less chorizo in this and just let the mushrooms shine through a bit more.